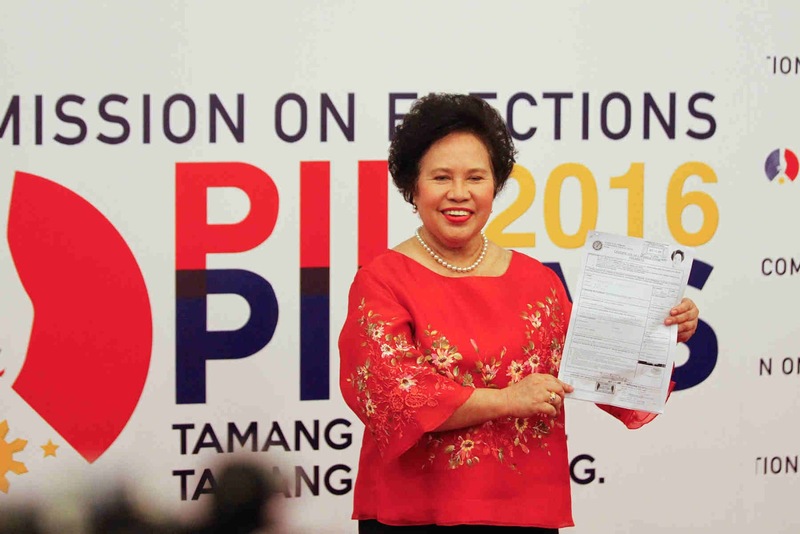 Home / #PiliPinasDebate2016 / 2016 Presidential Elections / Miriam Defensor Santiago / social media / Is It Third Time Unlucky For Miriam? Is It Third Time Unlucky For Miriam? She entered into the political consciousness of millions of Filipinos during the Marcos era where she fought tooth and nail handling the case of movie director National Artist for Film Lino Brocka and other political activists. Then and until now she is known as one strong woman ready to go to war if she feels like there is one. 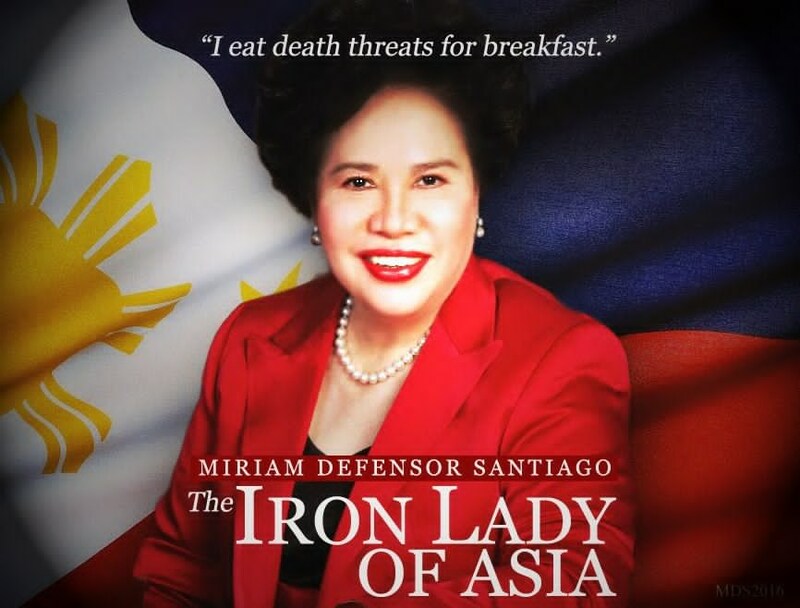 She enjoyed tremendous popularity during the Cory government and after the late President Aquino’s term, Miriam Defensor Santiago ran for president during the 1992 presidential election. She was a forerunner but when the final vote was counted she lot the election. Of course, there were allegations that the elections were rigged so that the administration candidate former President Ramos would win the election. She led the tabulation of votes for five days while series of power outages were also ongoing. And Filipinos woke up on the sixth day that Fidel Valdez Ramos overtook her in the tally board and never left the top ranking from that day. Of course, she filed an election protest but was dismissed due to technicality as she ran for Senator in 1995 election. She ran again for the second time but to no avail, the magic was gone and it was a futile exercise considering that Joseph Estrada was really a darling of the masses and no amount of mudslinging and traditional machinery to steal away the victory away from him. His loyal fans gave him one of the largest votes ever accumulated in a presidential election at that time and Miriam Defensor Santiago only gathered less than one million votes. With less than a month going to the final day, Miriam is facing her toughest battle. If we rely on surveys both online and offline, she is languishing at the tail end of the ranking. 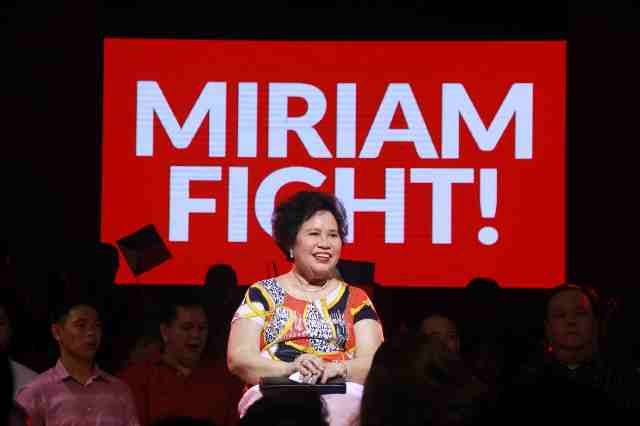 It seems that Miriam will have no choice but to give up and support another candidate. Her graft and corruption crusade is no longer working. She ran for president this 2016 election because she wanted change and fight graft and corruption. She harvested so many recognition and accolades because of her excellent track record when it comes to fighting graft and corruption. She was elected as one of international justices for The Hague Court and has to give up due to health reasons which eventually she confessed was a lung cancer. Apparently, fighting graft and corruption is not enough reason for her to be elected. Probably, her book on political humor hurt her and people only saw her as entertainment figure instead of crusader for good governance. This will be her third attempt to run for top office of the land. According to some, three is a lucky number and they mentioned examples like Pia Wurtzbach who finally snagged the BB Pilipinas crown on her third attempt and went on to win the elusive 3rd Miss Universe crown for the country. 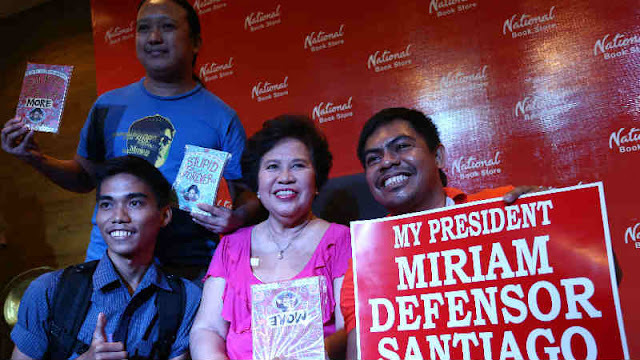 However, the magic of three will not work for Miriam Defensor Santiago. There are several reasons why this is so. First on the reasons on what is going wrong with her campaign is that Mayor Rodrigo Duterte stole the limelight from her when it comes to graft and corruption crusade. Apparently, many Filipinos wanted unconventional methods of change and battling corruption. It also hurt her image when she committed several errors in judgment. For example, she aligned herself with Joseph Estrada during his impeachment proceedings at the halls of Senate. She also aligned herself with Gloria Macapagal Arroyo when she ran again for Senator. These two actions hurt her image when it comes to crusade against graft and corruption. Second is that there is that lingering perception that she has mental issues. In fact, she earned the nickname “Brenda” which is a street lingo for brain damage during her court battle with Fidel V. Ramos. Third, her health issues also probably hurt her campaign as people are not convinced that she is totally healed with her lung cancer. 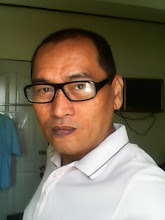 Voters are wary of the consequences if she cannot finish her term because of health problems and there might be an unacceptable Vice President waiting for her death to assume power; enough of the Gloria Arroyo scenario who ended up succeeding Joseph Estrada when he was booted out from office due to People Power. Fourth, her election campaign is marred with lack of resources and supporters. You can tell that big time benefactors are not with her because of the lack of exposure. She has not made the rounds yet unlike with Mar Roxas and Rodrigo Duterte who keep themselves very busy campaigning in different parts of the country. Even in the world of social media network, the focus is on Duterte, Roxas, and Poe.